Like most villages, Swanbourne had a number of public houses in times gone by, but that number has slowly dwindled, until in 1991, the last of these pubs, The Swan, closed its doors to business. However, unlike most villages, 15 years later a newly-built pub opened and continues to attract good custom. It is named The Betsey Wynne, after the young woman diarist who had married Captain Thomas Fremantle, and who came to the village with her husband and new-born son in 1798. 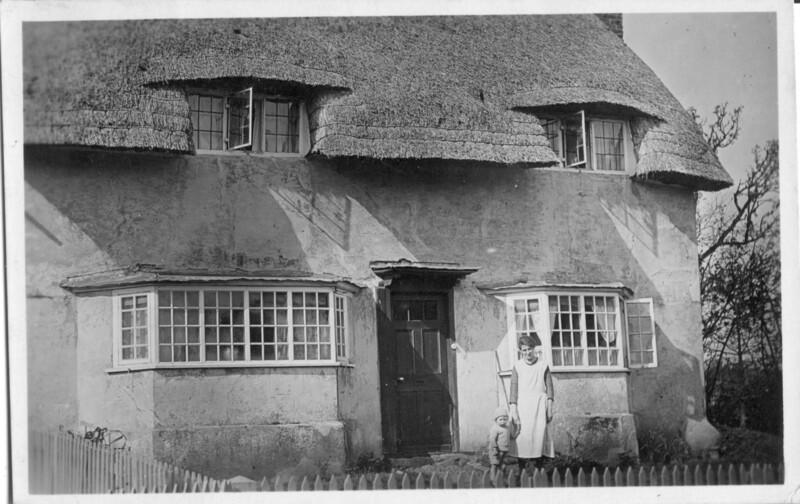 The following account provides a history of the older pubs of the village. There have been at least 7 different buildings serving as public houses in Swanbourne (though not all operating at the same time), 5 of which remain as private houses today. The oldest public house of which we have found mention is the ‘Small Beer Hall’ on the road from Swanbourne to Granborough, which now forms part of numbers 1 and 2 Holcombe Cottages. It appears with this name on the Jefferies map of 1770, and was situated at that time on what was then the Turnpike Road leading from Aylesbury to Buckingham. 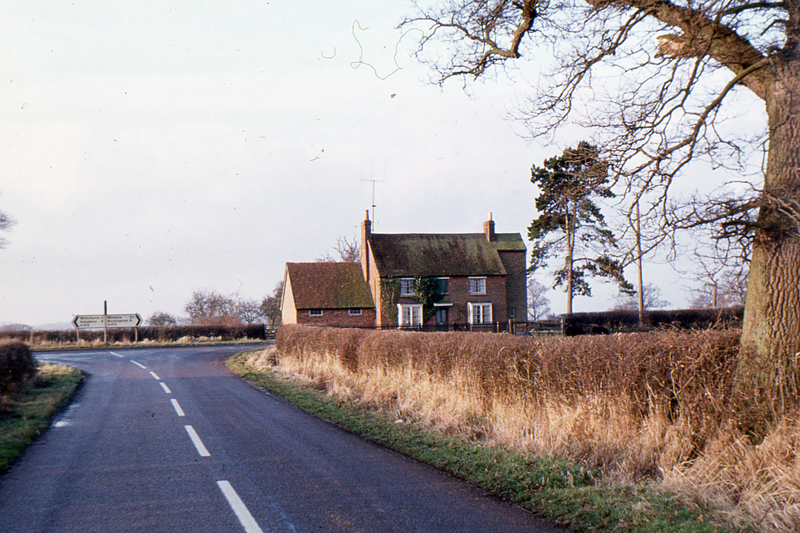 (The Wendover to Buckingham Turnpike Trust which managed this road was set up in 1721, but a road of some description existed long before this and appears on earlier maps). 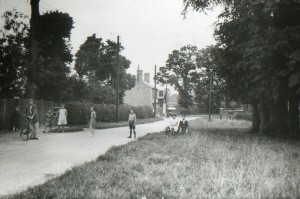 It must have been quite a lucrative business because when plans were being made in the 1820’s for the Turnpike Road to be straightened out to follow the present line of the Aylesbury to Buckingham Road, William Inwood, the owner of the pub was very upset at the anticipated loss of trade. On May 7th 1826, John King, surveyor and valuer, wrote a letter on his behalf to the Trustees of the Turnpike Trust. At this time, the name of the pub was ‘The Neptune’ (the name of the ship that Vice Admiral Fremantle had commanded at the Battle of Trafalgar), although Ken Reading also records it as having been known as ‘The Old Fox’ and ‘The Ship’. In his letter, John King talks of ‘the great and almost ruinous loss Mr. Inwood shall sustain in consequence of the intended new Line of Road, through the parish of Swanbourne should it be raised into effect – that it will be the means of depriving his House of nearly all its custom and which House he gave £300 or £400 more for in account of its being a Public House, than he otherwise should’. Mr King goes on to ask the Trustees to ‘make him an adequate compensation for the loss he will inevitably sustain thereby’. Neptune Farm, previously a public house. 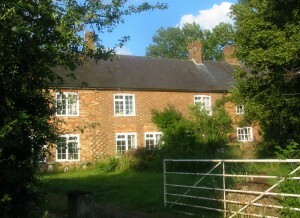 Holcombe cottages today after renovation. Originally the Old (Small) Beer Hall. We do not know the outcome of this request, but the building seems to have ceased to have served as a public house soon after this, when the new length of road was built by-passing it, and Sir Thomas Fremantle (later given the title Lord Cottesloe) had a new pub built opposite the place where the road from Swanbourne meets the new section of the Aylesbury to Winslow Road. The return of Public Houses and Beerhouses 1872 gives the date of the new Neptune as 1833. By the 1830’s, John Colgrove had become landlord. Ken Reading records that the pub fell on hard times after the opening of the railway through Swanbourne in 1850, although the latest record that we have found for this building being active as a public house is in the 1877 Trade Directory, where Henry Fairman’s trade is described as ‘Neptune and farmer’. Being a publican was never a full-time job at this period, and nearly all of the publicans at this time had other occupations as well. After this, it seems that the house gave up its trade in selling beer and became simply ‘Neptune Farm’, the name by which it is known today. This pub name is associated with the medieval cult of John Schorne, centred at North Marston. The Rev John Schorne, who died in 1314, was reputed to have captured the devil in his boot – perhaps a reference to the healing properties of the water that could cure gout. 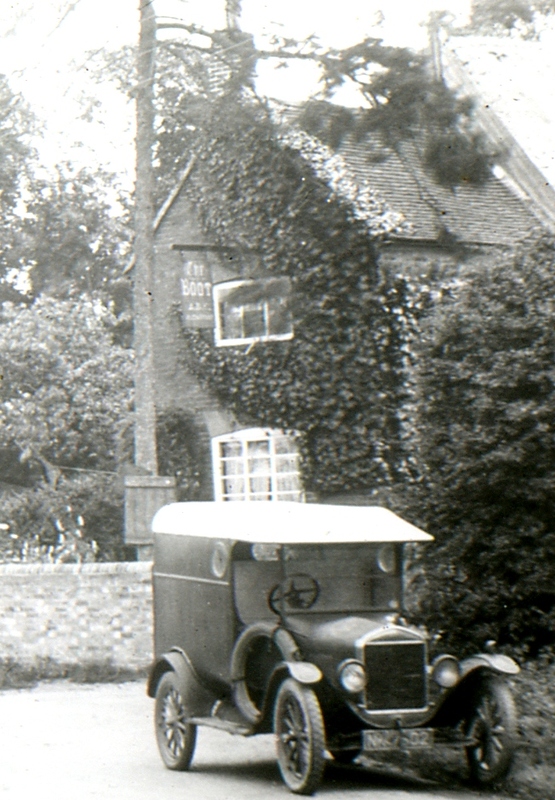 The Boot Inn (Smithfield End) with a car in front; date about 1930. Pilgrims travelled to the church at North Marston, just 4 miles from Swanbourne, to visit his shrine and seek cures – until John Schorne’s relics were moved to St. George’s Chapel at Windsor. Approach to the Boot Public House; 1930’s. The earliest reference to The Boot so far discovered is only dated 1827, when Thomas Griffin was the licensed victualler. The last mention in a Trade Directory of 1935, gives the proprietor as Eric Colgrove. But for around 40 years before him, it had been run by William and Alice Price. For many years, the village Friendly Society met here, and was also a venue for the village football team. Mrs Price, landlady at the Boot. This pub, situated in Nearton End, was once on a drovers road to Stewkley and Leighton Buzzard, so would have provided a handy stopping-off point for drovers, whilst their herds or flocks grazed nearby. In 1827, the proprietor was William Fountain. The last reference to it as a public house is in an 1877 Trade directory, when Alfred Shepherd was publican and dealer. He does not appear here in the 1881 census, when the house was unoccupied. It had been purchased by Sir Thomas Fremantle in 1872, so probably became a private house soon after 1881. 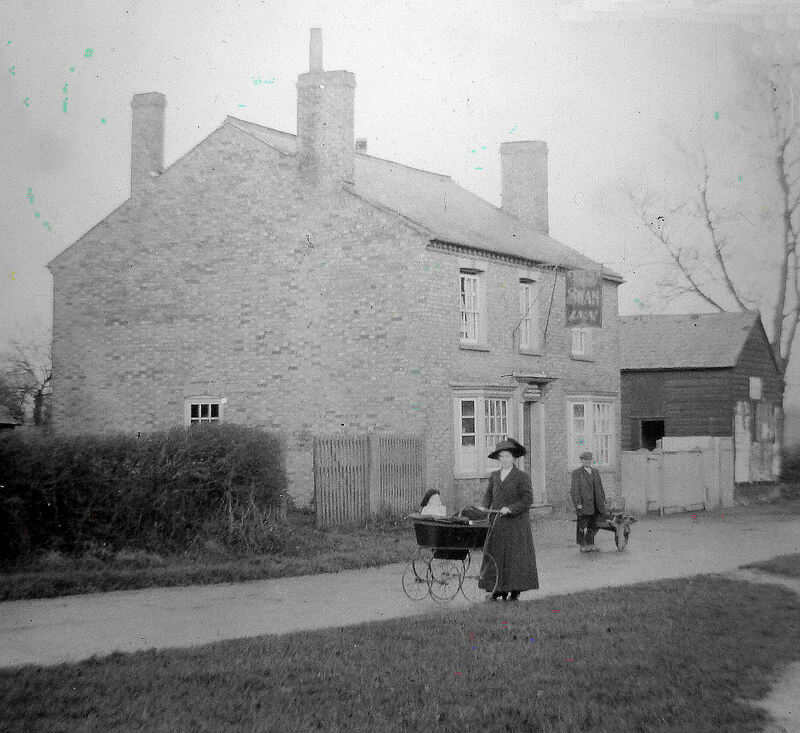 This ancient public house, which was probably Swanbourne’s premier pub in the 19th century, was located on the Winslow road, in front of Home Farm. In addition to its regular function as a public house, it also served as a place to hold auctions. The last publican to occupy the premises, before they closed in 1904, was Alex George Bragger, an elderly Londoner, together with his wife Matilda. It seems that he returned to London after his wife died in 1904, aged 82, and lived there for another 11 years. The Red Lion was demolished a few years later. 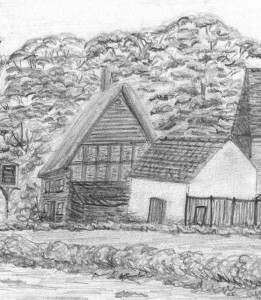 The Red Lion, an extract from a larger sketch by Walter Fremantle. 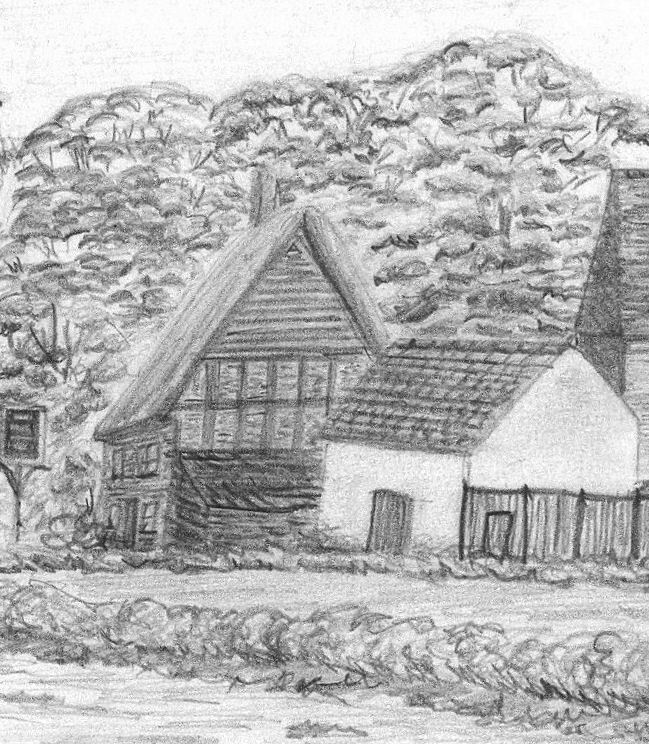 There are no surviving photographs of the Red Lion, but there is a sketch which gives some idea of its appearance. This drawing (right) of The Red Lion is an extract from a larger sketch by Walter Fremantle, drawn in 1850. `The White Swan Public House` had stood opposite the Church tower at a site in front of the Manor House. There are no pictures of it, and it was probably demolished in the 1850s. The Swan, the last of the old pubs to close, was built in 1848, at the request of Sir Thomas Fremantle. It replaced The White Swan, in order to satisfy the major landowner in the village, Sir Thomas Fremantle, who wanted this established moved away from the Church. Ken Reading, in his history of Swanbourne gives the following account of the incident that led to this move of premises. Sir Thomas had been much infuriated by being confronted by a drunken ostler outside the Church. This gentleman, one Joe Ash, had grown up with Sir Thomas so saw no reason, in his inebriated state, why a sociable wine drinking session with Sir Thomas and his Lady should be rejected. In his drunken rage he threw the bottle at the Lady’s feet. 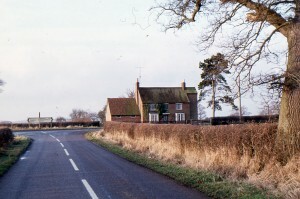 The Swan was built at the extreme eastern end of the village on the site of a cottage formerly in the occupation of one Robert Smith, opposite the Baptist Chapel. 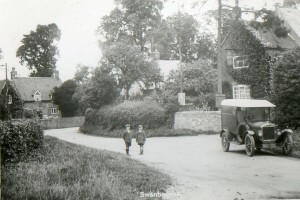 The Swan Inn, 1930, seen from the top of New Walk across the Mursley Road. 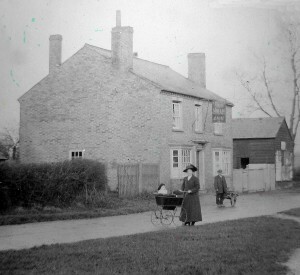 The Swan Inn, Mursley Road, 1910. The Swan had two bars, with one used for darts and dominoes as well as a fruit machine. The Lounge was reserved for more sedate drinking, with a regular clientele from the Prep school. It also served meals, with Jean French as cook. But around 1990, with the breweries under government orders to divest themselves of many of their pubs, the dwindling number of regulars at The Swan meant that it was high on the list of those that the brewery company (Ind Coope owned it at this time) did not want to keep. There seemed little interest in selling it as a going concern, or else no-one really wanted to buy what was likely to be a loss-making business. 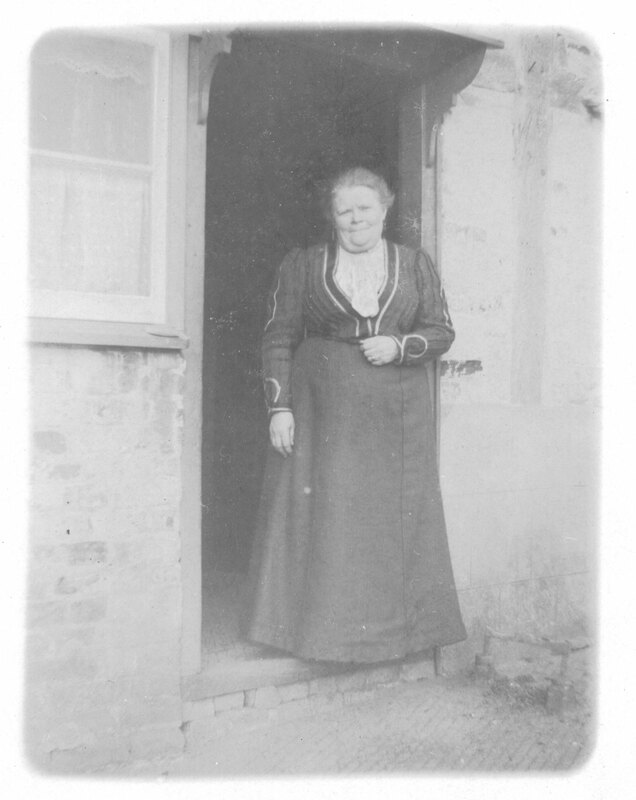 So finally it was sold with planning permission to turn it into a dwelling, and Swanbourne’s long historical links with drinking holes seemed to have come to an end – until The Betsey Wynne came on the scene.